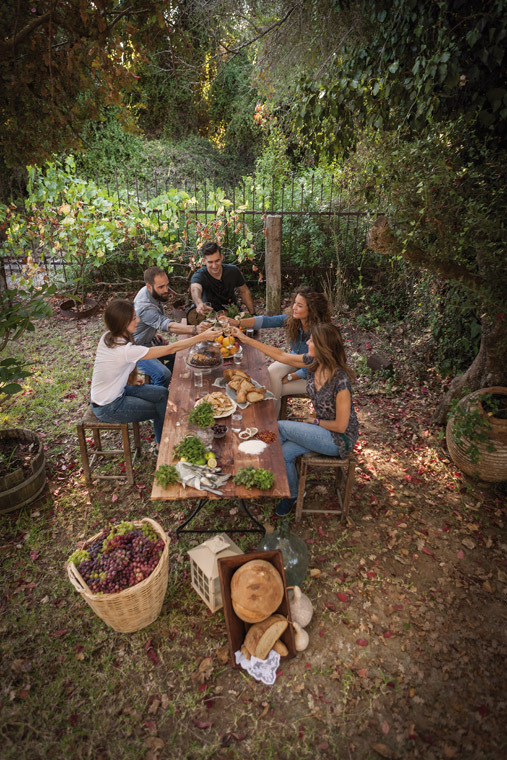 Almost as much as Greek people love a homely meal, they love going out for lunch or dinner. Greece is a food society like no other. And it did not just happen. The social aspects of food have always been there. For as long as we can remember, food has served as an occasion for sharing: exchanging ideas and thoughts on art, politics, culture and society in overall. It is a ritual as inherent as genes themselves. EATING OUT is not reserved for special occasions, it’s an everyday pastime and a weekend event. We have to eat; we like to eat; eating makes us feel good; but we carefully choose what we eat, where we eat and who we eat with (not necessarily in that order). Greeks’ urge to socialize around a dinner table is more profound than it looks. Greek people are quite particular about their dining partners, handpicking them so to speak. Savoir faire is important, but so are other things. First time’s a charm: one will be judged according to the food he orders, the way he eats, his table manners, his temperament and composure around others. Once a fitting group of friends is formed, we move on to choice number two. Food venues in Greece are not really infinite, but they are certainly plenty: restaurant, tavern (typical folk restaurant), magirió (similar to a diner), mezedopolio, rebetadiko, ouzeri, koutouki, take your pick! No matter what establishment one chooses, the decision process involves more than just quality and service considerations. Ambience is the determining factor; finding the right setting for a group of friends to spend a couple of hours or more eating well and enjoying themselves. Greek people are not your typical consumers. Though they like new and prize authentic, they have a soft spot for food that is simply familiar. If the latter is lacking, they will eventually change their preference. That alone goes to show you why so many “imported” dishes have been modified to fit Greek reality, and why we lately see casserole dishes penetrating the status quo of different food venues. Albeit affected by quality concerns, health concerns (opting for greater nutritional value) and cost concerns (opting for less expensive cuisine), food symbolizes social activity and as such it becomes a matter of mindset. WITHOUT DOUBT, EATING OUT IS A PERSONAL ISSUE FOR GREEK PEOPLE. YET, IT IS ONE WITH SOCIAL CONNOTATIONS, NOT ONE CONTINGENT ON MICHELIN STARS.